In addition to educational and practical assistance, we’ve also been able to open a medical post in 2015. Everyone in Romania has the right to receive first aid & emergency care in the hospital, but it’s only the most basic care necessary. Medication, bandages and follow-up instruction is considered an extra service and comes at a cost. Medical insurance is only possible if you have a job and since there are so many people without employment in the Roma community, many don’t have access to proper medical care. 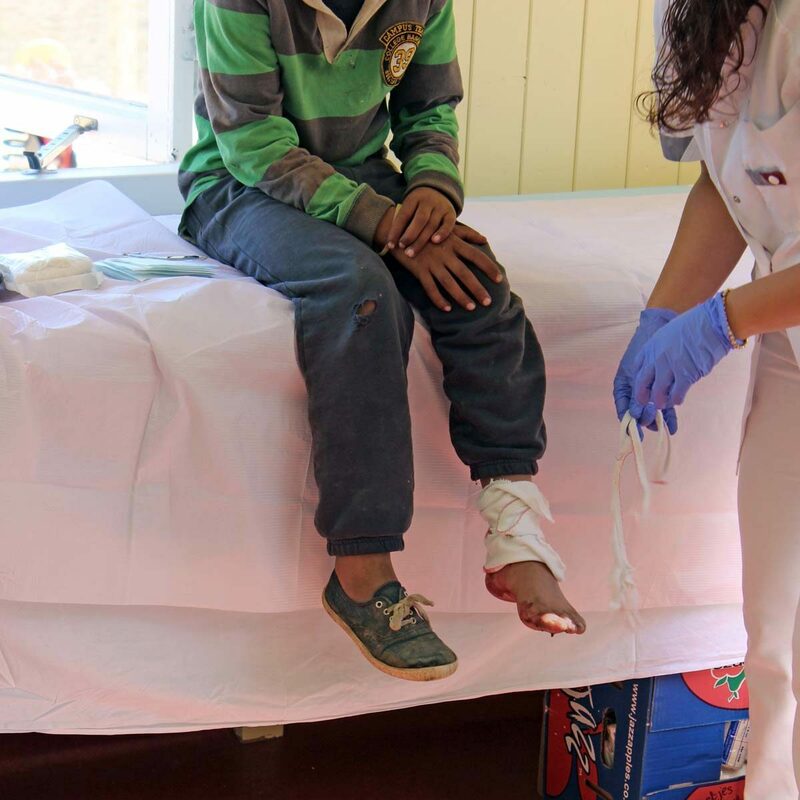 Our medical post is staffed by a nurse who provides medical assistance to the community, such as wound care, removing stitches, purchase of medication, etc. The nurse also provides education and awareness about medical issues and hygiene. In the future we also hope to have a doctor working at the foundation one day a week. We need financial support to help keep this much-needed medical post working and expanding. Your monthly or one-time gifts are very welcome and are vital for us to continue the work here in this area. NL 25 RABO 03668.36.242 t.n.v. St Charis Waddinxveen.